Next up is Stuart McRae, Executive Collaboration Evangelist at IBM talking about IBM’s experience becoming a social business supporting its transformation to a globally integrated organisation. Stuart mainly talked about IBM’s Transformation Jam in the UK last year. 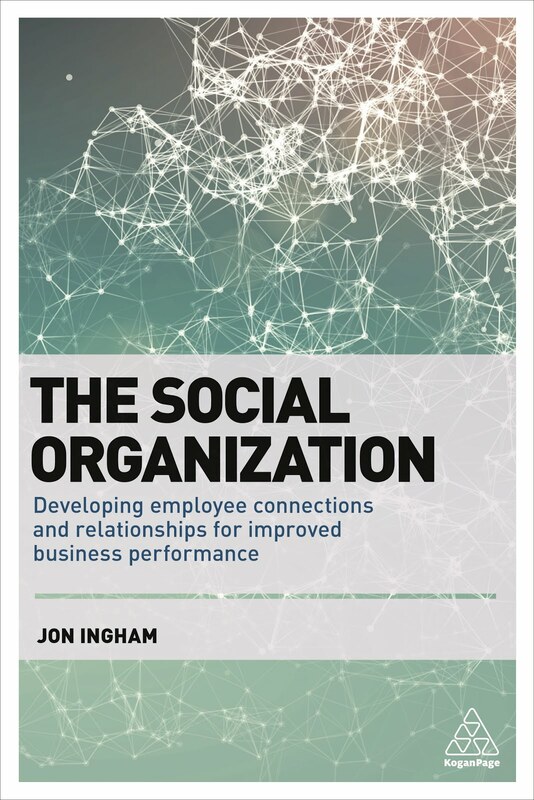 This jam was used because IBM wanted to transform the organisation and therefore the company decided to use social technology vs the other way around – which is sort of the right way to do it (agreed! – see my last post). The jam process was launched in 2001 and you’ve probably heard of their values jam in 2003 but they’ve done a whole series since then, including the recent social business jam I participated in. The jam leverages the wisdom of crowds in the organisation. To make successful, lots of things need to happen in the background. For example, the use other social systems to make people confident to contribute to the jam. And the use of analytics to drive participation – ensuring different parts of the business are represented, reinforcing key message etc. The key is what happens next – sometimes it’s easy, sometimes it’s not. Eg in the values jam, IBM millions of inputs were distilled down to three values. This is particularly the case with open jams – focused on how the business can be made better – leading to lots of diverse opinions (note you need to try to understand why people are commenting eg you get more negative than positive comments). It helps to make it very clear what the organisation is trying to achieve! In the UK Transformation Jam, IBM brought 100 people who were most active in the jam together in a workshop for face-to-face networking. They then created workstreams to continue the conversation. It’s important not to let this drop (and IBM got this wrong with the UK jam – the workstreams took up 3-6 months during which other participants didn’t hear anything). One of things that came out the Transformation Jam was need for better productivity – through better collaboration tools (so this experience was about using a collaboration tool to identify the need to use more collaboration tools!). The need was to transform the way that the average IBM employee works. IBM’s philosophy about social media in IBM is to keep it open [relating to JP’s comments about the way organisations try to develop something in a closed way in one part of the organisation while another part of the organisation tries to engage people around it – much better just to develop the thing in a social way in the first place!]. They’re also changing the paradigm from an email model to a social media model. And are working to make the organisational silos permeable (but note your ultimate silo is the firewall). IBM measure the results of all this through usage of the technology but also mining information about what people are using it for. And IBM’s stock price! Becoming a social business is about understanding what business problems you’re trying to solve (eg increase the stock price, or back to my last post, taking too long to repair the buses). Your employees are your differentiator – social businesses use them better – by being transparent, ensuring employees are engaged – and thus becoming more nimble. Loyalty with a company today is about a sense of affinity with the employees you are interacting with. I’m at Dachis’ London Social Business Summit today. I’ve just seen JP Rangaswami taling about social but couldn’t get on the wifi to post. But up now is John Hagel talking about two elements of his big shift (from the Power of Pull). So it used to be the longer you worked on something, the longer you’d have to wait for the next increment. Now, the more you work on something, the more rapidly something improves. The source of value used to be stocks of proprietary knowledge that you’d keep secret and leverage over a long a period as possible. But now, knowledge stocks depreciate at an ever fast rate. To create value in this new work, we need to participate in an ever broader flow of knowledge at an accelerating rate. Hence the value of social software. A massive deployment of social software for everyone. One difficult with all of these is that metrics are hard to come from – in fact in most of Hagel’s studies, there’s been no impact. We need metrics that matter – which will differ according to the part of the business you’re in, eg financial metrics for CXOs, operational metrics for lower business leaders and performance metrics (in someone’s job) for people on the front-line. The target at all these levels is better exception handling which takes 60-70% of management time in most organisations (?). This sort of change pulls people to the edge rather than the core – the place where social technology can have the best early impact. It’s not just a technology, it’s an organisational change catalyst – everything will change based upon the implementation of social software. This applies to all businesses eg bus workers have taken to social software very rapidly because of the problems they’ve been having. Comment: yes, but given the extent of change, why start with social software and the changes this will introduce? My advice is to start with the change you want to create. Also see my post on the different opportunities for introducing social tools: 3 modes of web 2.0 implementation. I may not have got much out of the Connectivity session, but there was plenty of good stuff on this topic in the mixed presentations & panel session which followed, ‘why new ideas are needed to engage changing customers’. But the real focus was on the importance of the individual. And actually, although although I didn’t feel it was such a strong theme as connectivity, there had been some key references to the importance of the individual earlier on. Iqbal Quadir had also talked about the growing focus on individuals rather than government, with a corresponding move to a bottom-up vs top-down governance model. But in this new session, there’s been much more focus on the individual, within the connected environment I reviewed in my last post. First was Arthur Potts Dawson from the People’s Supermarket. This is a shop with a difference, based on Arthur’s belief that organisations need to have a soul and stick to their principles. The People’s Supermarket focus is about the need for people to think more about their food – which is difficult because people find it difficult to think differently. The way the People’s Supermarket has made this happen is by establishing a system of membership where people from the local community provide their time free to the organisation, but in return receive a share in the profits. When Arthur asks people why they shop a the supermarket, they don’t say the usual things. It’s not because of convenience, and it’s not because of price. It’s because they have real people and a community. And the thing that has really driven this sense of community has been getting people talking about themselves and understanding their personalities. And then really listening to them – as even if they’re only sharing problems, the same people usually have the solutions too. And getting people listening to each other too. It’s the sense of community that’s the key to the People’s Supermarket – when individuals become collectives, they become powerful. Christian Hernandez at Facebook then talked about putting people first in the digital world. He first reminded us that people are social at the core, also suggesting that the reason Facebook has been successful while other systems have failed is that Facebook has taken the effort to ensure peoples’ profiles are based upon their true identities. And the main change in the development of the web into the social web has been the way it enables word of mouth at scale (allowing people to find information based upon their friends’ recommendations etc). This means that the social experiences we used to have in small environments can now be expanded out. The key has been putting people first on the web, and using people to drive discovery. - Very, very few organisations have the same sense of humanity in their traditional,face-to-face relationships as the People’s Supermarket. - But very few use social media effectively either. - Just 22% of companies have completed a process of redefining customer value, thinking strategically about incorporating social networking and social media into the way they deal with customers. - A similar low 22% say that social media has changed the way they think about customers. - Over 50% aren’t using technology adequately – preferring to use face-to-face and telephone communication to deal with customers – and only 5% say social media is their main method of interaction with customers. - How do you create conversations with customers using social media? - How do you get different departments working together, sharing and analysing data on customers? - How do organisations effect change given strong organisational inertia to do nothing? I’d add the main point about non-digital conversation back in here as well, ie how do organisations maintain and increase the level of humanity expressed through their behaviour when communicating through social media as well as in traditional settings. And the other key point from Paul was not to wait. Most organisations don’t know what to do, partly because the tools for channelling and analysing information on customers are not properly developed. But if you decide to wait you’ll get left behind. So maybe just track referrals in a small area – but do something! I’m at the Economist Intelligence Unit’s Big Rethink conference today (at least this morning) and we’re talking about ideas and innovation. 1 Debt has grown rapidly and is acting as millstone on growth. 2 Emerging markets have issues but also there are also significant opportunities. China’s economy will be as big as the US’ by 2016 and India is also coming up and will potentially be more dynamic because of China’s one child policy and consequent future aging population. 3 Greening up - the rising price of commodities and raw materials will help individuals face up to the green crisis. 4 The aging workforce, again primarily in rich countries. The average age of people in the world today is 28. By 2020 it will be 32 and by 2050, 38. 5 Urbanisation – the urban population is increasing but family units are getting smaller, more people are living on their own so there is more demand for housing. 6 Multi national companies based in emerging market are breaking out of their own markets and attacking companies based in developing economies. It didn’t come out in Robin’s presentation, but the other big theme we’ve covered so far (for me) is connectivity. Julie Meyer at Ariadne Capital has stressed that the world now has a profound network orientation. Companies can dictate to people in a traditional, linear way. For example, Julie has suggested that no-one under 30 believes they are going to work for anyone any more - “They enjoy it, recognise that it’s a great place to work and so on, but they still talk about the businesses they’re going to set-up in the future”. So organisations need to think more about things like ecosystems now. Julie thinks that people and companies that understand this are going to be the winners in the future. Iqbal Quadir from MIT made two related points that progress involves the dispersion of power, and that connectivity is productivity. Update: well, I was planning to post on the next session from Cory Doctorow from Boing Boing which was supposed to be on connectivity and imaginative business. Unfortunately this turned out to be a rant about digital rights management so I’ll pass on this. Keep reading this blog for more of my own insights on connectivity! So I delivered this webinar for Citrix Online today: Online learning and the learning organisation. I talked about social learning, why this is important, and why despite its importance, we still tend to focus on the learning of individuals rather than social groups such as teams, communities and networks. And I suggested that the the learning organisation is based on social learning – and the consequent development of Peter Senge’s shared vision and mental models etc. I then suggested that organisations need to select the appropriate enablers for becoming a learning organisation that suit their particular context and situation. One of these enablers is online learning and given the title of the webinar, this was the enabler I focused on most. I also stressed that online learning is probably the most powerful enabler that we have. Now this webinar was delivered for Citrix Online, and they wanted me to deliver something on online learning, but the title and the link to the learning organisation were my suggestions. So I do believe what I have just written. Most of the participants (actually 92% of them) seemed to agree. But obviously not everyone – and I wasn’t able to fully answer Jacqueline’s question right at the end – why exactly do I think online learning is social? Jacqueline wrote that she didn’t think this webinar was very social, and I do agree with her. Partly because I didn’t leave enough time for questions (though I did do a lot better than the last of these I delivered). And partly, as I stressed in my presentation, online learning probably does need to be combined with other enablers, whether these are physical or technological, eg a Twitter feed or something, to be really social. I also like the developing use of video within these applications, and long for the day when we’re all connected by Telepresence. But I still think online learning is key. And this isn’t just because it’s (at least partly) social, it’s also, as I also said, because it’s virtual, synchronous, co-created and increasingly mobile too. All of these attributes contribute towards the outcome of better social learning. Social networking systems is the other key enabler, particularly if they include blogging, podcasting etc too. The networking function is key in helping people develop the connections and relationships that are the basis for social learning to take place. And then blogging, podcasting and online learning provide effective ways for learning to take place. And I absolutely do believe these tools have made the learning organisation much more achievable than when I was more specifically focusing on consultancy in this area about 20 years ago. If you were on the webinar, I hope you enjoyed it. I’ve asked Citrix if they can provide your questions I didn’t get to answer, or please add them again (sorry) as comments to this post – and I will answer each one. 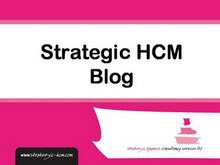 You may also be interested in the next webinar I’m doing which is on HR 2.0 and will take place at 3.00pm GMT or 9.00am CST (I’ll be in Houston, TX) on Tuesday 15th March. I’ll be delivering a webinar on Social and Online Learning and the Learning Organisation at 11.00am GMT today. In this webinar, I’ll be going back to the question I asked at TRU: why does 95% of what we do in HR (here, L&D) focus on individuals (when what’s most important is teams. Do join me if you can. And I’ll be posting on my reflections from the webinar later on today. My next webinar will be on Social HR / HR 2.0 and that will be at 3.00 on Tuesday 15th March. I hope you’ll join me for that webinar too.